Van village, located separately from the city, is a tourist destination in Da Nang for tourists, especially for those who love to explore and experience. 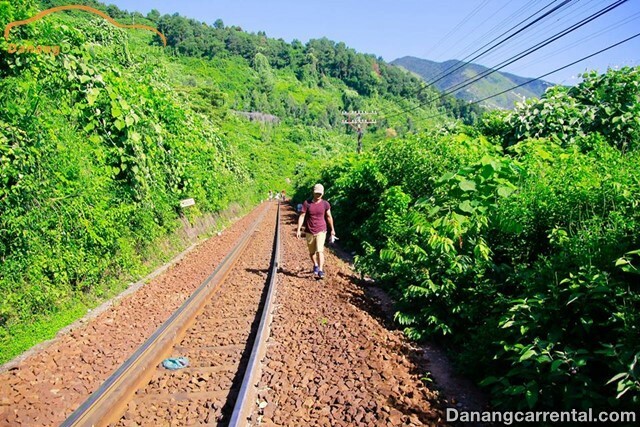 Not many people know that lying at the foot of Hai Van Pass – one of the most beautiful pass in the world has a wild and rustic village named Van village. 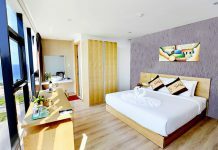 Located separately from the city, Van village is a tourist destination in Da Nang for tourists, especially for those who love to explore and experience. Formerly, Van Village is known as leprosy village, is a residence for leprosy patients who have lived separately from the city since the 1980s. After a long time, they are supported by the state in order to integrate with people in the city. Nowadays, there is only a few people live here to be fishermen. Therefore, Van village still retains many of the typically wild and rustic features of a coastal fishing village. 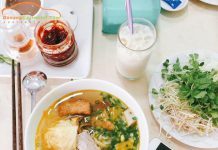 Since Van village is located separately from Da Nang city, so you have to buy everything such as items, personal belongings, food and etc before coming here because you will not be able to buy anything here. Identification papers, clothes, swimsuits, slippers, toothbrushes, toothpastes, sunscreens, face towels, hats, blankets, etc. Water, tents, medicines, lighters, flashlights … When going camping overnight, don’t forget to bring anti-mosquito medicine because there are many mosquitoes in Van village at night. In addition to carrying fast food, prepared food, you should prepare the dishes to cook together at that place or even speakers, beer, … that will be definitely interesting to enjoy playing with people in the pristine wilderness. There are two ways to get to Van Village: walking and boating. However, whatever you choose to go, you also need to limit your personal belongings. When you take a boat, you will not have too much storage space. On the road, most of the roads are mountain roads, you have to climb often and go on for a long time, so you just bring as little as possible. Boat trip to Van village, Da Nang city (about 30 minutes). 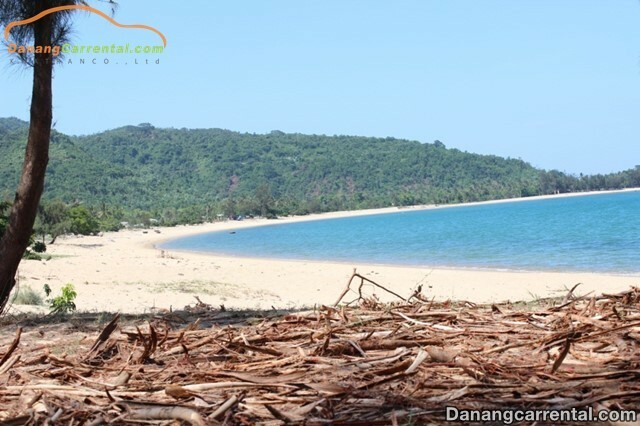 Guests can rent boats on Nguyen Tat Thanh beach to go to Van village. This is a fast and fun way because guests can enjoy the air on the beach, the view of surrounding landscapes before starting the journey to explore Van village. However, it is necessary to rent a boat in accordance with the number of people in the group, and note that each person must wear a life jacket when sitting on a boat in case of an accident. If you choose to walk, you must have good health first because it will take a lot of time and energy. There are two roads, either you go down the mountain, or go through the tunnel. Go down from the mountain: it is best to wear a thick and soft shoes which grip the roads well, and have a bottle of water about 0.5 – 1 liters and other necessary belongings. Do not carry too many things because it can make you tired. When moving, keep the distance between people in front of or behind you, but also pay attentions to each other to move more easily and safely. A normal walk will take about 1 hour to reach the campsite. Passing through the tunnel of trains: This is the most adventurous way, but also the most popular way for those who love travelling. It will take you about 30 minutes to go through the 1 km long tunnel. It may be dark and always in the possibility of encountering the trains suddenly. Therefore, you should ask when the trains run first and then drive through the tunnel. The number of members should not exceed 10 persons. Or can be divided into small groups of three people which drive closely together. Bring the torches to see the road as the tunnel will lack light. The most important thing when going to the tunnel is always high alert, because when the trains go into the tunnel, it will be difficult to hear the sound of the trains running. Dua beach in Van village is the closest beach to the city. It’s also a place where people live in the past. At this place, visitors can enjoy bathing in the sea as well as drinking coconut free, it is extremely refreshing. Talk to the fishermen to understand more about the cultures, stories and the people who live in this place is what makes visitors curious. At the gate of the village, there is an ideal vacant land for campers to set on fire, or go for a walk near Isabella Cape to catch shells, crabs or watch the remote Da Nang city with colourful lights. It will be interesting. When travelling to Van village in Da Nang city, you should get up early to see the beautiful sunrise at Xoan beach. This is the most beautiful beach, but also the most dangerous one because it is the whirlpool with many crabs and shells in Van village. However,tourists only seethe sunrise in this site. Van village is pristine and isolated from the city, so visitors should choose camping near the border station to ensure safety when playing. It is also easy for you to ask for extra water to drink or take a bath for 5000 VND per person. This is a large area, so no matter where you camp, you should be careful when playing and paying attention to the other team members. Especially, it is a natural wilderness, so you should take note when exploring this place and avoid going alone. You should pay attention to snakes and some poisonous insects as well as not eating strange fruits because there are some very poisonous fruits here. 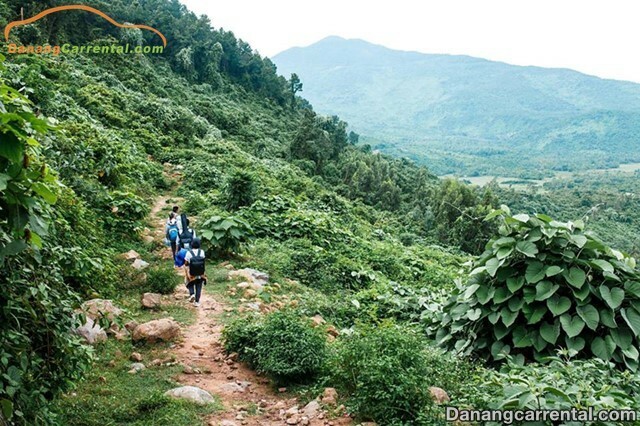 Coming to Van village in Da Nang city, visitors will enjoy a peaceful and quiet space as well as an ideal destination for those who are looking for peace and love to explore the wild beauty. Away from the bustling, noisy, hustle city with car smoke, dusty roads to be immersed in the fresh and cool air between the natural scenery of the mountains and the seas, you will be peace in your souls … Why don’t we visit Van village now! 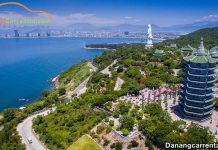 For more information or rent cheap car to visit famous sites in Da Nang, do not forget to contact Kha Tran Car rental hotline Ms Anna: (+84) 91 651 02 01 or Ms Katharine: (+84) 34 797 6789. Wish you have a trip to Da Nang is fun and complete!